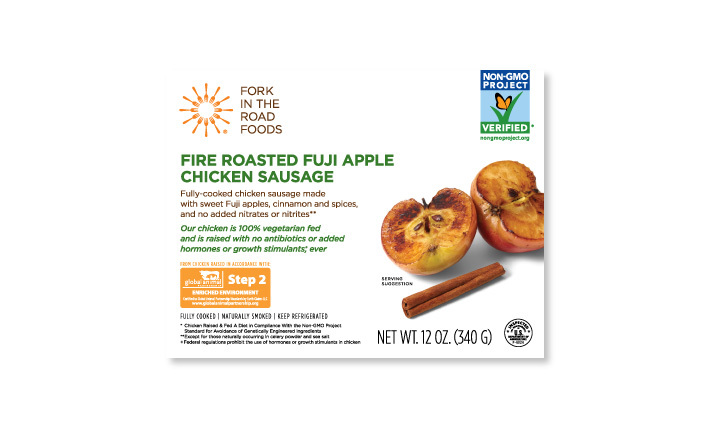 Fully-cooked chicken sausage made with sweet Fuji apples, cinnamon and spices, and no added nitrates or nitrites. 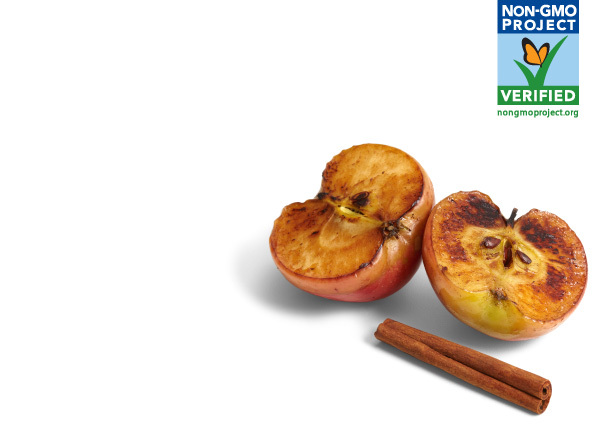 An apple a day? Heck, yeah. With all due respect to apple sausages everywhere, these plucky beauties come from a whole other orchard, so to speak –– just bite after bite of flame-licked Fuji apples paired with earthy sage. Skewer chunks with pineapple and red pepper, then broil or grill. Serve with barbeque sauce for dipping. Toss on a hot grill, then into a toasted bun. Top with your favorite condiments. Simmer chunks in a rich marinara sauce. Ladle over pasta. Chicken, Apple Juice Concentrate, Roasted Fuji Apples, Dried Apples, 2% or Less of: Sea Salt, Granulated Honey, Evaporated Cane Syrup, Spices, Onion Powder, Celery Powder, Sodium Lactate, Water.